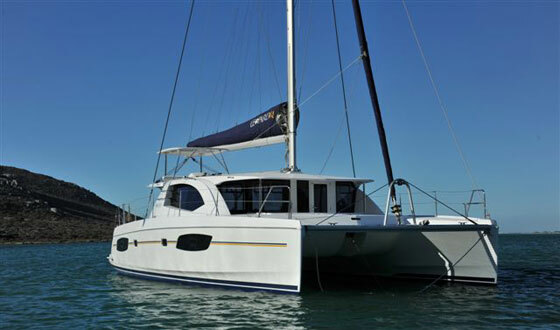 The latest Robertson and Caine cat should be a good performer for those who like some extra speed built into their comfort. 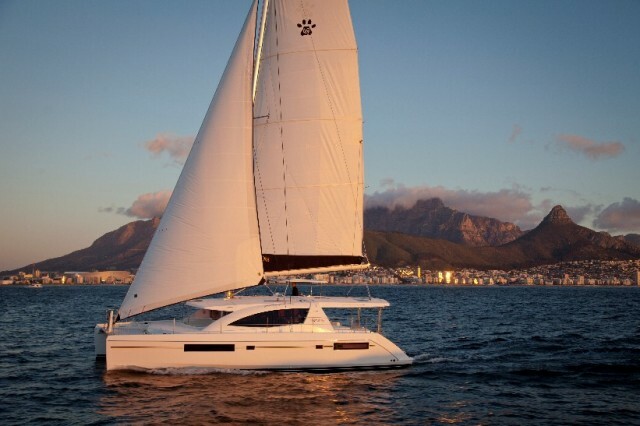 South African catamaran builders Robertson and Caine have announced the debut of a new sailing cat, the Leopard 44. The design is the result of another collaboration between Robertson and Caine and designers Morrelli and Melvin of Southern California. 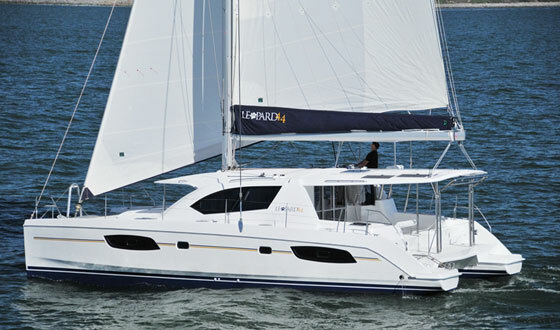 The Leopard 44 will accommodate six in three cabins. 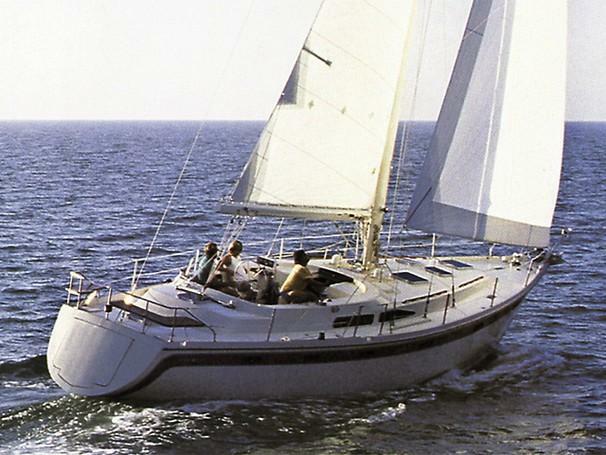 According to the designers, the deep and narrow hulls allow the boat to point as close to the wind as many monohulls. The helm is elevated on the starboard side, and offers 360-degree visibility while remaining part of the social hub in the cockpit, even under way. 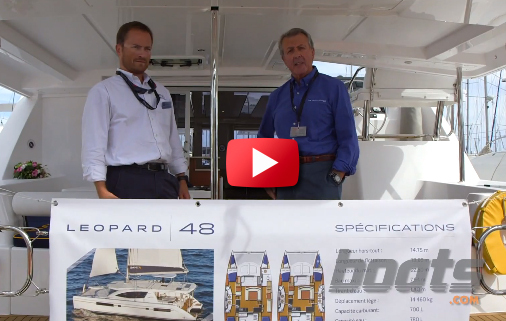 The new Leopard has electric davits and low stern platforms for easy boarding. 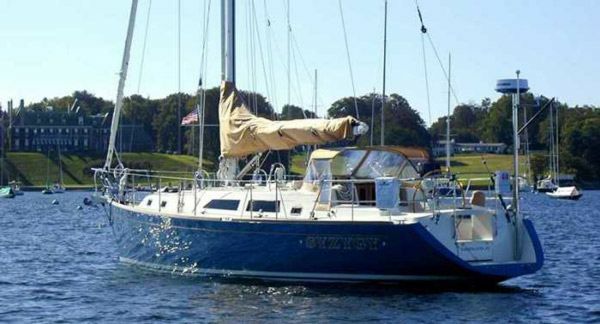 The 44 will accommodate six comfortably in three cabins. 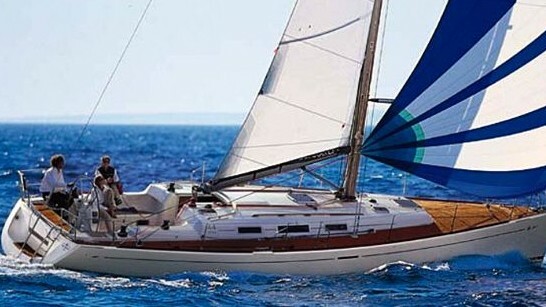 A large owner’s suite occupies the whole starboard hull, while each large cabin to port has its own head and stall shower. 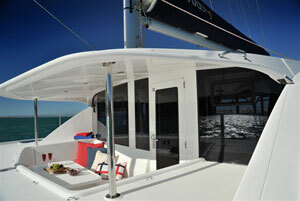 The large saloon opens on to an L-shaped galley to port and a small nav desk opposite. The most notable feature of the 44 is the forward cockpit, which is covered by the coachroof and is accessible from the main saloon. 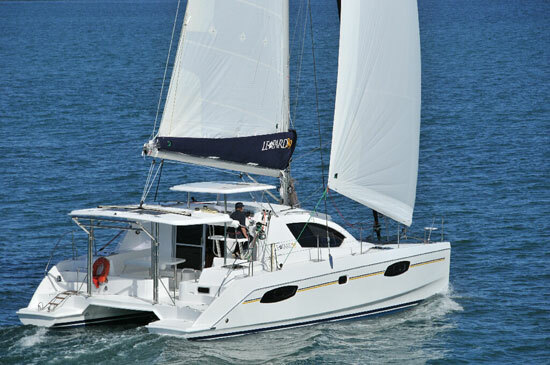 This is in addition to the traditional aft cockpit that is also covered by a hard-top with integral hatches. The unusual forward cockpit provides ventilation to the interior and a place for those who might enjoy a book or some quiet time away from the main activity. The forward cockpit is accessible from the main saloon. 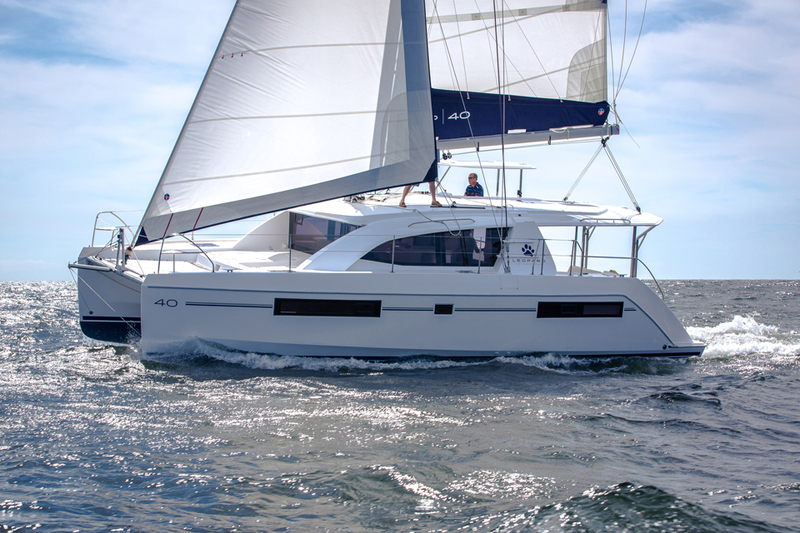 TUI Marine, owners of The Moorings and Sunsail charter fleets, are also introducing a four-cabin charter version of the new cat, which will be known as the Sunsail 444.